– that has been called together in faith through the Gospel of our Lord Jesus Christ to share that faith with everyone. – that is composed of young and old, single and married, secure and seeking. – that gathers in worship to celebrate the Good News that Christ has risen for all of us. – that meets together to study and to be empowered by the word of God. – that encourages and prays for one another. – that comes together to build our relationships and to support one another. – that rejoices in Baptism and Holy Communion, marriage and birth, and all the gifts of God. – that cares about sickness and health. – that grieves at the loss of a loved one and shares comfort from God. – that uses our God-given talents to serve others in our community and in the world. – that invites you to join with us as together we endeavor to grow in our faith. Depending upon your past church background, you can become a member through Transfer and New Member Class. Transfers are for those who have prior membership at another LCMS (Lutheran Church-Missouri Synod) congregation. New Member Class is for those who do have not have an LCMS background. 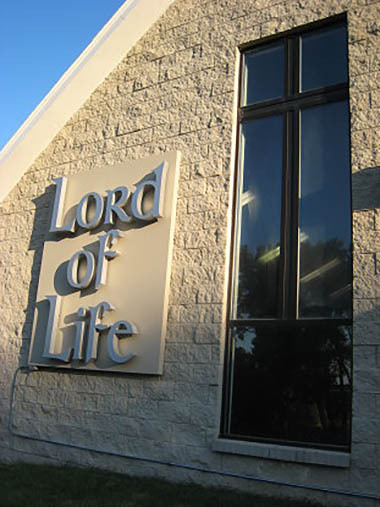 Contact Pastor to set up a meeting to become part of the Lord of Life family.